Ever notice how things always have a way of balancing out? Take America&apos;s obsession with snack foods. BBQ. Nacho. Ranch. Cheddar. Salt and Vinegar. 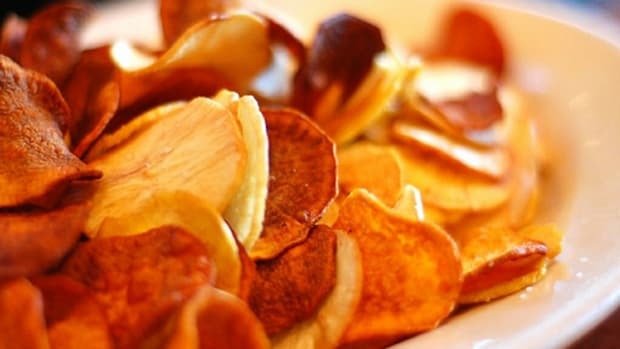 Of course you&apos;re probably thinking of the taboo chip aisle at your local supermarket—products loaded with too much salt, artificial flavors and colors, and those dreaded trans fats. But guess again. The hottest new trend in snack chips is kale—as in green and leafy and actually super good for you. Finally! 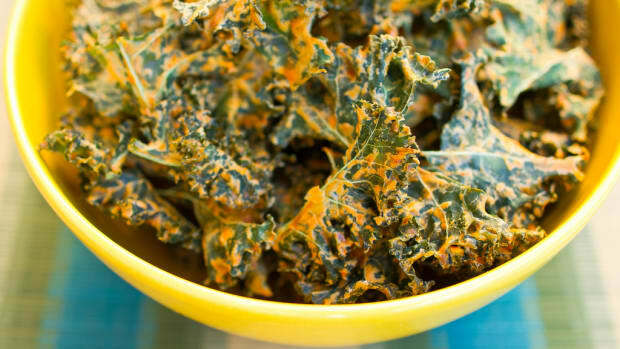 For the uninitiated, kale&apos;s moniker is King of the Land of Leafy Greens. 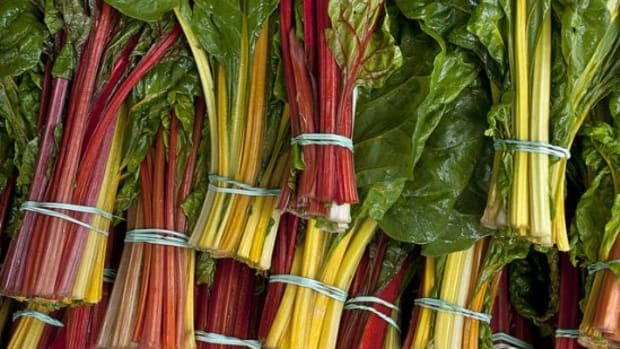 It&apos;s a powerhouse superfood loaded with nutritional benefits. 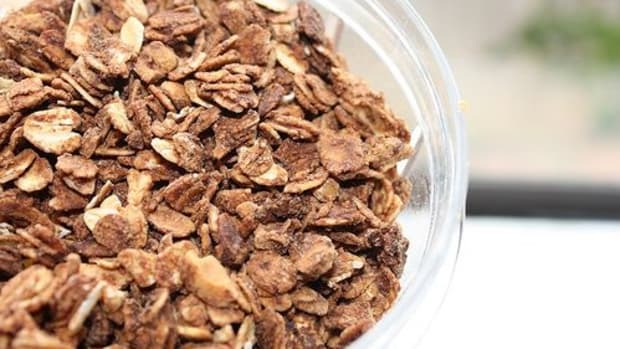 A one-cup serving—while less than 40 calories—contains 5 grams of fiber, 15 percent of the recommended daily requirement of calcium and B6. It also boasts 40 percent of the RDA for magnesium, 180 percent of vitamin A, 200 percent of vitamin C and 1,020 percent of vitamin K, as well as copper, potassium, iron, manganese, phosphorous and sulphur-rich phytonutrients. 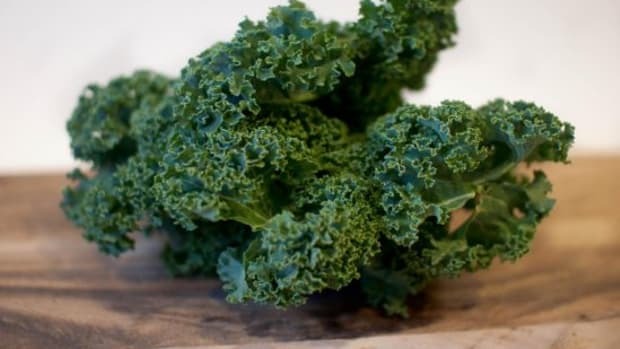 Kale is also a rich source of lutein and zeaxanthin, which boost eye health. The fiber in kale binds with bile acids to lower blood cholesterol levels decreasing the risk of heart disease. 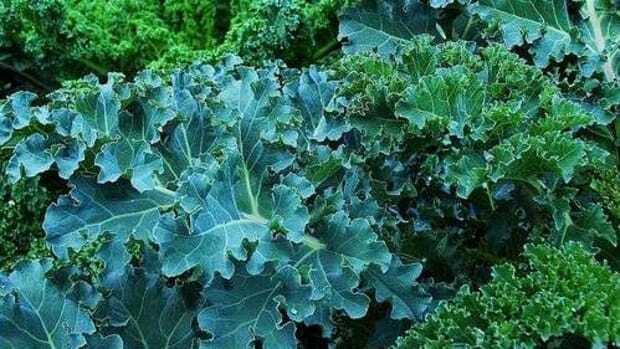 And, the antioxidant carotenoids and flavonoids found in kale are reported to have anti-cancer benefits. Potatoes and corn even un-fried, un-salted and un-crisped can&apos;t say that. In a word, kale tastes green. 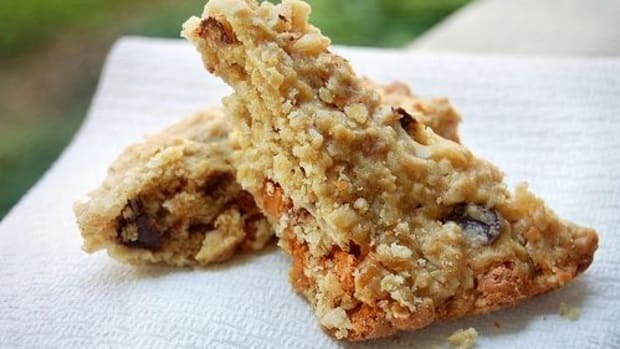 It&apos;s bold but soft, earthy and sweet. 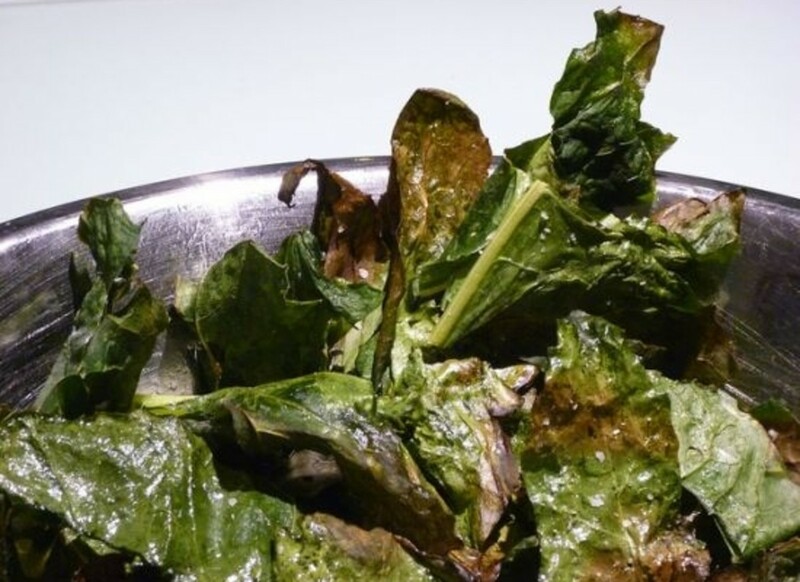 It works like spinach or chard, but it&apos;s hardier, retaining its shape and texture whether steamed, sautéed or dehydrated into a chip. It&apos;s the darling of the healthy, vegan and raw food movements, the latter giving birth to the booming dehydrated kale chip biz. Find dozens of delicious brands popping up in health food stores and as appetizers in the chicest restaurants. Making your own is cheaper (those store brands can be $10 for an 8 oz bag!) 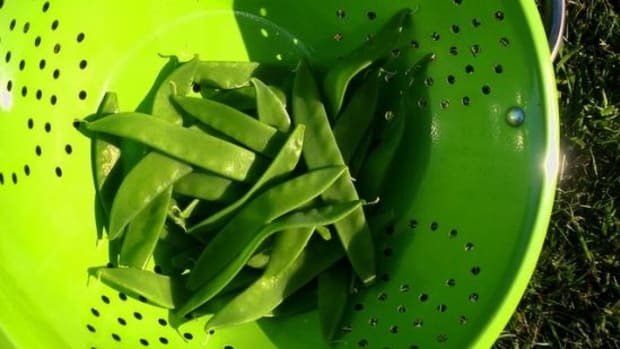 and super easy, especially if you&apos;re growing kale in your garden. De-stem 1-2 bunches of curly kale and cut each leaf into several large pieces. In a bowl, mix together a few tablespoons of olive oil, ½ teaspoon of each of your favorite spices (try cayenne, cumin, salt and chili powder). Mix in the kale, then spread on dehydrator trays and let dry at 115 degrees for 4-6 hours or until crispy. Experiment with soaked pureed cashews, fresh herbs and lemon juice added to your spice mixture.